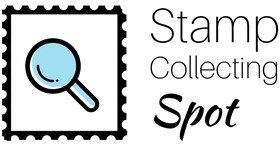 If you need help understanding and using any of Stamp Collecting Spot’s features, please refer to the expandable documentation below. If nothing below provides the help you need, please contact us and we’ll do our utmost to help. What information is required on the sign-up form? You are required to provide your email, choose a username, set a password, and confirm your password. The first and last name fields are not required. Having trouble creating your Stamp Collecting Spot account? Follow these tips and you will be up and running in no time. Double check that your email is correct. The email must be correct in order for you to receive your account activation link. After clicking “Register”, check your email inbox for a confirmation email containing your activation link. Follow the directions in that email. From there, you should be good to go! Didn’t receive a confirmation email? You may have entered your email incorrectly on the registration form. If you are certain this is the case, you can create a new account using the correct email. You can also contact us and we will be happy to help get your account activated. Sometimes emails take an abnormally long time to deliver, so if you are sure you entered the correct email when registering, this may be the case in your situation. If you still receive no confirmation email within the next couple of hours, please contact us and we will help you get your account sorted out. If you are still experiencing problems with signing up, please let us know! Typically, you will receive a response within several hours, although in some cases it may take longer. Double check that you are entering the correct email (or username) and password, into the correct fields. The correct email, username, and password are the ones you originally signed up with. Enter the email or username you signed up with into the “Username or E-mail” form, then click the “Forgot your password?” link. Check the spam or junk mail folders in the email account associated with your Stamp Collecting Spot account. Still no success? We can help you recover your account. What if I don’t want my name showing up on my Stamp Collecting Spot account? If you’d prefer to keep your name private, you can simply go by a username, and enter it into either the first or last name field and leave the other field blank. If you already signed up but would like to change your name, go to your profile, click the “About” tab, and from there you will see the option to edit your first and last names. On your profile, click the green “Settings” button next to the Logout button. In the first section, “Account”, you can change the email address associated with your account, change your account password, or delete your account. The next section, “Privacy”, allows you to choose who can view different sections of your profile, and who can message you. The next section shows any users you have blocked. The final section allows you to change your email and on-site notification preferences. Do you need separate Stamp Collecting Spot accounts to access each feature? No. One Stamp Collecting Spot account is all you need in order to use each of the features. Go to your Profile, and from there click the green “Logout” button, located next to the Settings button. First, go to your Stamp Collecting Spot profile. 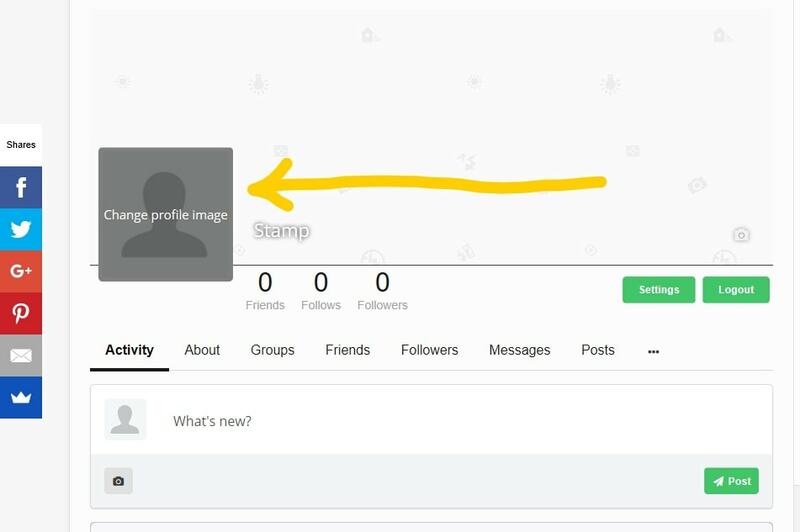 To add a profile image, click on the default one, then click “Upload photo”. Choose an image from your computer as your profile image. Consider compressing the image first. Compressed images will load faster, and are less likely to generate an error. Use this site to compress your images. To add a cover image, click the camera icon located at the lower right (see screenshot above) and then click “Upload photo”. Choose an image from your computer, and consider compressing it if it’s not already. Change the image file size. Stamp Collecting Spot only supports files that are 5mb (megabytes) or less. Use this site to compress your image(s) without losing quality. Resize the image. Make it no more than 1,000px at its longest side. Use a different device (a computer may work better than a mobile phone or tablet). What is the “Activity” tab on my profile? The Activity tab shows your latest updates, and allows you to post new updates. When you post something to your activity, it will also show up on the global activity page where it can be viewed by everyone. What is the “About” tab on my profile? The About tab is where people can go to learn more about you. There are three tabs on your About page, titled Main, About, and Contact Info. Main is where people can see your name, and also where you can go to edit your name. About is where you can share a brief bio, your collecting interests, what your education is, where you work, etc. Contact Info is where you can share your website URL (if you have one), and links to your profiles on Facebook, Twitter, Google+, and LinkedIn. Note: personal contact info (like email and phone number) is excluded for privacy reasons. What is the “Groups” tab on my profile? The Groups tab shows which groups on Stamp Collecting Spot you are a member of. What is the “Friends” tab on my profile? The Friends tab shows a list of everyone you are friends with on Stamp Collecting Spot. What is the “Followers” tab on my profile? The Followers tab shows a list of everyone who is following you on Stamp Collecting Spot. From this page, you can also view everyone you are following. What is the “Messages” tab on my profile? The Messages tab displays all of your private conversations with other Stamp Collecting Spot members (only you have access to your messages). From this page, you can also start new private conversations by clicking the “New conversation” button. What is the “Posts” tab on my profile? The Posts tab displays any blog posts that you have written. As of September 2017, Stamp Collecting Spot does not support guest authors, therefore this tab will be empty. What is the “Comments” tab on my profile? The Comments tab shows a list of all the comments you have left on the Stamp Collecting Spot blog. What is the Activity page? The Activity page is basically the central hub of Stamp Collecting Spot. The default setting, “Site wide”, displays a continuous list of all activities from all members. In order to see more specific activities, click the “Site wide” filter and select an option from the drop-down list. From the same drop-down, you can select and de-select each activity type, customizing what is shown to you on the Activity page. You can also post directly to the Activity page from the “What’s new?” box. Groups provide a way for like-minded people to create their own communities on Stamp Collecting Spot. Each group has an Activity page, a Members page, and a Settings page. The Activity page shows a list of all group activity updates made by members of the group. Depending on the group’s privacy level, these activity updates may or may not be visible to non-members. The Members page displays a list of each member of the group. 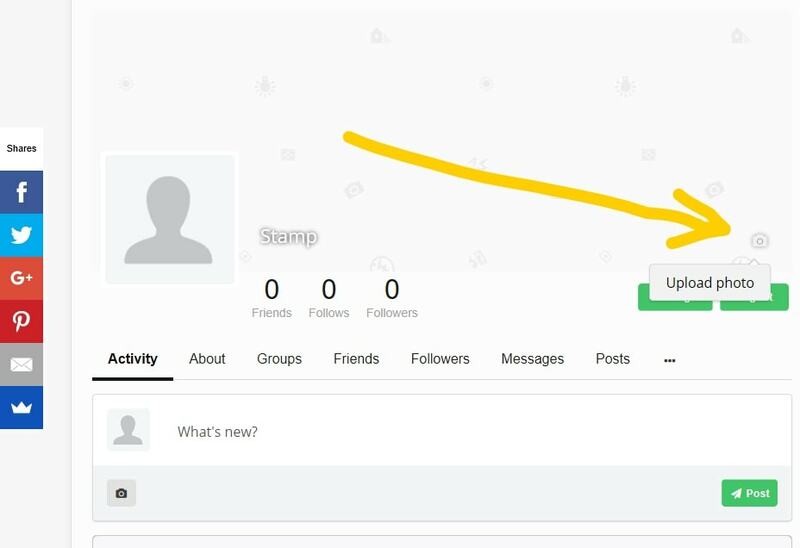 As a member of a group, and as long as the administrator(s) have allowed it in the group settings, you can invite any of your friends to the group by clicking the three vertical dots located at the bottom right of the group cover image and then clicking “Invite friends”. You can also choose to block a group be clicking the same vertical dots button, and then clicking the “Block group” option. The Members page, by clicking the Message button on a user card. Another member’s profile, by clicking the Message button located below their cover photo. Your profile, by clicking the Messages tab and then the “New conversation” button. At this time, private messages only support text. Hover over: Directory >> My Dashboard then click Add Business. Fill out the listing form. Required fields are marked with an asterisk (*) sign. After solving the Captcha, click “PLACE LISTING”. TIP: If you need to upload PDFs to your listing, first upload them to a file-sharing website and then add the link to the Listing Description. Hover over Directory >> My Dashboard and then click Manage Listings. Locate the listing you’d like to edit, and click the Edit button next to the red Delete button. Fill out/edit the fields you’d like to change. Note that required fields are marked with an asterisk (*) sign. When you are finished, click “SAVE CHANGES”.